Google rolls out “local businesses annotations” in Street View that lets you browse around in your neighborhood for nearby restaurants & shops, or use it to see what else is nearby your dinner spot. When you’re touring in Street View and see a business that piques your itnerest, now you can find a “clickable icon” that’ll take you to business listing where you can find out the name, hours, read reviews, and more. For now, browsing a location in Street View will show the top listings for that immediate area. We’ll be extending this coverage soon to include more businesses and also transit locations. 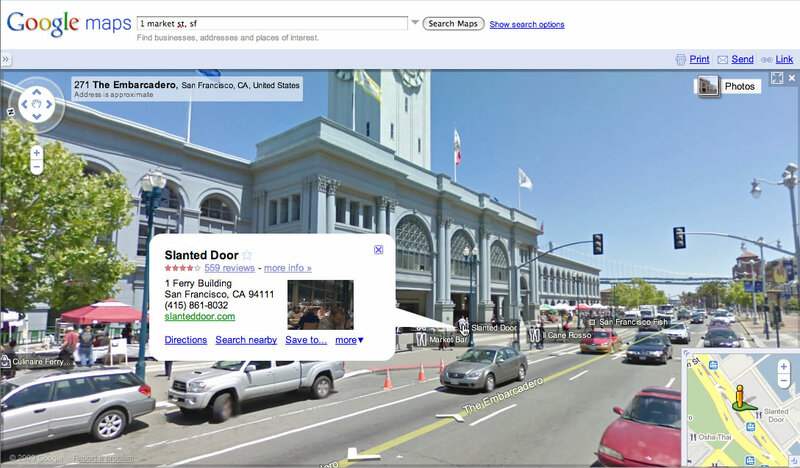 Don’t forget, if you see a business annotation which isn’t quite aligned with its location in Street View, you can easily move the marker and place it in its correct location,” explains Google.